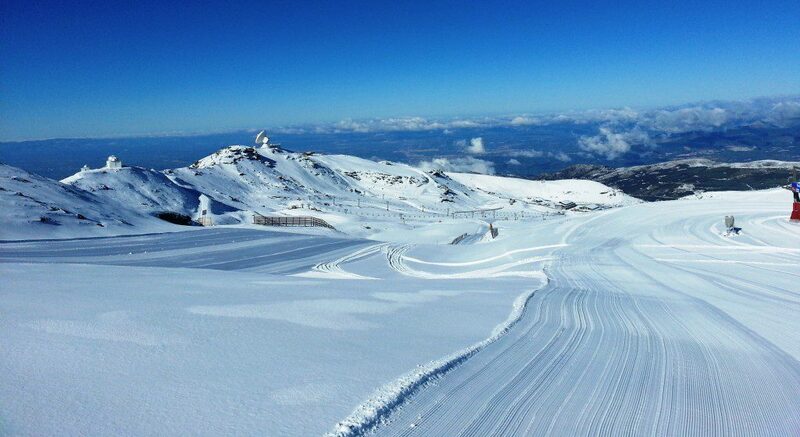 The end of November marks the beginning of the ski season at Sierra Nevada, Europe’s most southern ski resort. If you’re looking for some ‘on piste’ action, then hiring a car from www.malagacar.com and driving to Granada is a low cost, convenient option to get you to the slopes. While the majority of visitors to the ‘Sol Y Nieve’ Ski resort are Spanish, an increasing number of International visitors have discovered this small but top-rate ski resort which has hosted a number of national and international ski and snowboarding events. Depending on snow levels, the season generally runs from the end of November until mid-April. 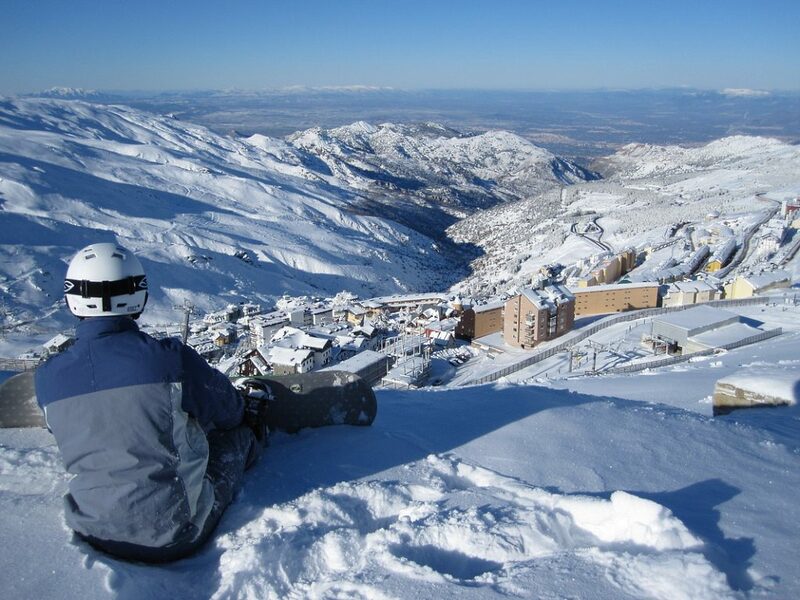 The Sierra Nevada ski resort is located in a unique position, just 30 kms away from the historic city of Granada, and approximately 60 kms away from the beaches of the Costa Tropical. In fact, so close are the slopes to the beaches that it’s often said that the Granada region as a whole is unique in that visitors are able to ‘ski in the morning and sunbathe in the afternoon’. There are two principal areas: Borreguiles, home to the ski schools, cable car stations and main ski lifts; and Pradollano – the main ski village, with hotels, restaurants, shops and holiday apartments. The ski centre itself has numerous runs of varying levels of difficulty to cater for all abilities, from gentle learner slopes to the notorious El Rio – one of the favourite slopes with its 3 km length. In the event that the natural snow is not up to peak condition, some of the runs can be supplemented by snow cannons to ensure the best skiing experience throughout the season. Off piste, there’s a famously vibrant nightlife to be enjoyed, with plenty of restaurants, bars, pubs and clubs filled with skiers and snowboarders every evening, all out to relax and enjoy themselves. There are hire facilities at the resort, though if you’re a pro, you can carry your own snow gear fairly cheaply with most of the low-cost airlines. As there are no longer direct flights from the UK into Granada, the most convenient airport is Malaga, at just over 90 mins away. From here, you can hire a car big enough to carry you and any passengers, luggage and equipment right up to the resort, but don’t forget, you’ll need to pick up your snow chains on the way up! Hiring a car from Malaga Airport for your Sierra Nevada skiing holiday will not only give you the freedom to explore the city of Granada and the beautiful Costa Tropical, but will also ensure you make it to the slopes quickly and conveniently. Book today for the best car hire prices for your winter holiday! IN THIS BLOG YOU MENTION DON’T FORGET TO PICK UP YOUR SNOW CHAINS ON THE WAY UP TO SIERRA NEVADA – QUESTION – DO YOU HIRE OUT SNOW CHAINS? IF NOT, WHERE ARE THEY AVAILABLE FROM PLEASE? Hello David! Currently we don´t hire snow chains. It should be no problem to purchase them in gas station in Granada on the way towards Sierra Nevada. There are as well large shops like Aurgi, Norauto where to buy them.